well, more like Stash Be Used 2015, but that’s not nearly as catchy right? 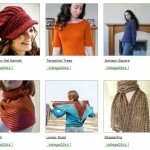 Tomorrow is the beginning of a new year and all the dreams and wonderment are alive in the knitting community. My Sister’s Knitter – This is the one that spurred on my excitement (full disclosure, I’m one of the mods). Join for camaraderie, support and maybe even a fun prize or two. I got a little crazy and frogged several WIPs that weren’t getting any love. New year, clear needles…and omg I have A LOT of 4.0mm needles. Briquette in Yowza Whatta Skein in this gorgeous red. 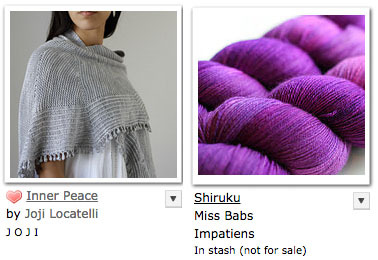 This can triple dip in all three KALs – I want to CO tomorrow but the Plum Dandi KAL starts on January 9th. 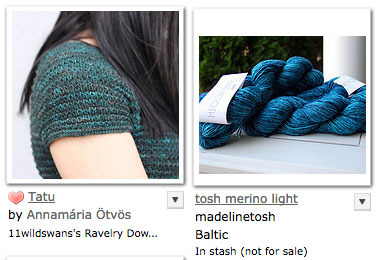 Tatu in Tosh Merino Light in Baltic. I stopped using this yarn because I realized it’d look like I was wearing a suit if I wore it with jeans – and I wear jeans All.The.Time. 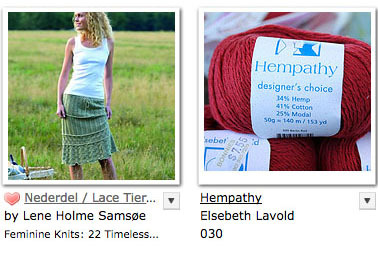 I’m going to give overdyeing a try after knitting this one (probably in a spruce green). Any pointers for overdyeing? Lace Tiered Skirt in Hempathy. I’d get a lot of wear out of this one once the weather warms up and both the pattern and the yarn have been in my stash for several years. Every year I think about it in May and it’s too late to make it worth it for that season so it goes to the backburner. Time to get this into the FO column. I’ll probably make mine a bit shorter because at 5’2″ that length will be the oh-so-flattering length of mid-calf. Yuk. Inner Peace in Miss Babs Shiruku. This one was on my Christmas wish list and has to be knit. And CO tomorrow? Yowza Weight It Shawl in Yowza Whatta Skein. 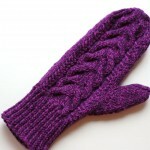 I need a simple knit otn for those times when I just want to pick up and go. Lots of reds and purples with a little blue (and overdyed green?) thrown in too. My classic colors. My stash. No idea what I’ll really finish but it was fun to put the list together. And I haven’t even talked about the socks – that’s for tomorrow. 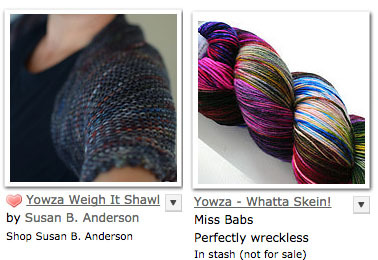 goals, kal, stashdown, WIPs 2015. permalink. “stash be damned”! Love it! Thank you for this one, I think it is going to be my motto in 2015 as I am embarking on a “no buy year”. Thank you for the links you provided and good luck with your destashing! good luck to you too! this focus on my stash took me by surprise but i’m enjoying thinking about using it. Great projects, great idea. 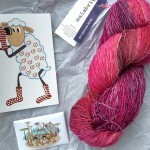 I’m going to join in on Andi’s stash knit kal. Wishing you a wonderful new year. you too Sam! great that you’re joining the kal – we can all encourage each other! I’m in for a stash-down 2015. Too much yarn already, not enough time to craft it all. Something has to be done. Same goes for fiber and books. Happy new year Nicky! 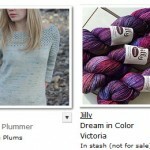 I keep reminding myself – I loved everything in my stash when I bought it. I just need to remember that again. I love the concept! I’m going to start tagging my stash as well, that’s a great way to keep track of what the heck I meant to use up sooner than later. Yeah – any way that makes it easier (and more fun) to use up stash is a good thing. 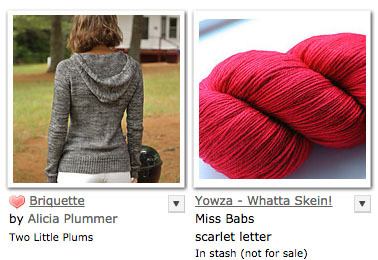 I’m doing Stash and WIPS for 2015, wonder how that will sit with Google? Yay! Good luck to you. Are you working on anything in particular? 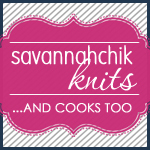 So many gorgeous projects…. I will have to dig through my stash and see what possibilities arise. Happy New Year. Do it! 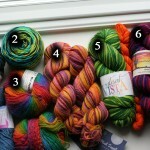 I try to think of stash diving as shopping part two. Anything to make it seem fun and new again.